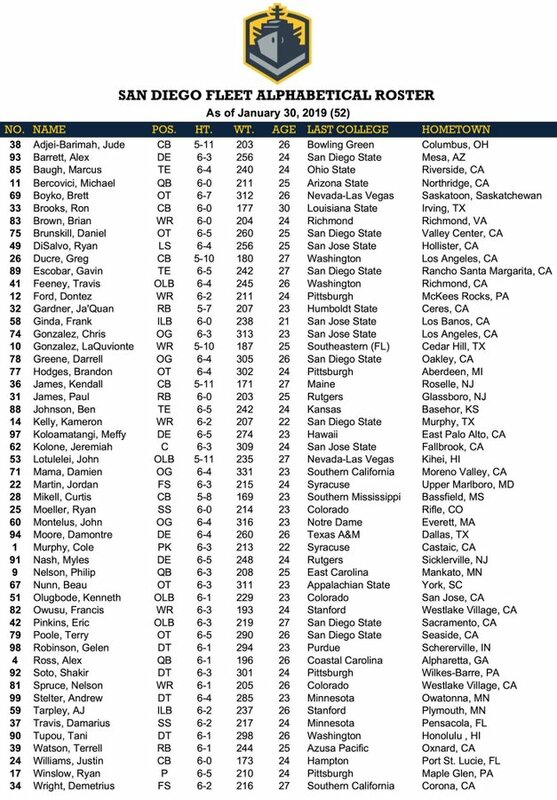 SAN ANTONIO, TX (01/30/2019) On the final day of its first-ever, league-wide training camp in San Antonio, Texas, the San Diego Fleet has set its final 52-man roster for the inaugural season of The Alliance of American Football. 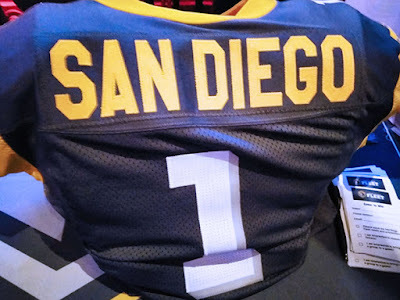 The Fleet will travel back to San Antonio for its opening game on Feb. 9 against the Commanders, who are led by former San Diego Chargers Head Coach Mike Riley (1999-2001). First snap is scheduled for 5 p.m. PT at the Alamodome.